Click ‘read more’ for the full report. 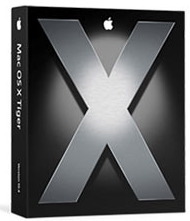 Purchase OS X Tiger from the Apple Store through 5/31 for a free online seminar on Tiger. Incompatible hardware: A Macfixit report suggests ill-behaved drivers (one suspected M-Audio driver mentioned) may cause startup/shutdown problems. Apple: While Logic Pro 7.1 upgrades are beginning to ship, Logic 7.01 appears compatible with Tiger. Ableton Live: Ableton Live 4.11/4.12 and later are compatible with Tiger. Native Instruments: NI software is largely compatible with Tiger, with the exception of Final Scratch 1.x (2.x and later required). FS, Traktor, and Komplete require small updates; all NI software will retain authorization if you choose “Upgrade” as your installation option. See NI’s compatibility page. Digidesign: UPDATED: Pro Tools TDM 6.9.2 adds Tiger compatibility for HD systems; users of LE and M-Powered are awaiting an update of their own. Digidesign tells CDM the best place to watch for updates is the official Digidesign compatibility page. BIAS: MacMusic reports current releases of SoundSoap / SS Pro are Tiger-ready, while Deck and Peak await free updates in May (though readers report some luck running those as-is).